Charles Darwin married Emma Wedgwood at St. Peter's Church at Maer. The newlyweds returned to London rather hastily, making the guests quite upset. One possible explanation for leaving early may have been that by now Darwin had developed his fear of being in crowds of people for long periods of time. On 11 November, he returned to Maer and proposed to Emma, once more telling her his ideas. She accepted, then in exchanges of loving letters she showed how she valued his openness in sharing their differences, also expressing her strong Unitarian beliefs and concerns that his honest doubts might separate them in the afterlife. While he was house-hunting in London, bouts of illness continued and Emma wrote urging him to get some rest, almost prophetically remarking “So don’t be ill any more my dear Charley till I can be with you to nurse you.” He found what they called “Macaw Cottage” (because of its gaudy interiors) in Gower Street, then moved his “museum” in over Christmas. On 24 January 1839 Darwin was elected a Fellow of the Royal Society. Charles and Emma were married at St. Peter's Anglican Church in Maer in England on January 29, 1839. One of their cousins, Reverend John Allen Wedgwood, officiated at their wedding. Emma wore a green silk dress. "I have bought a sort of greenish-grey rich silk for the wedding, which I expect papa to approve of entirely, and a remarkably lovely white chip bonnet trimmed with blonde and flowers." After a year or so in London, the 29-year-old Darwin began to think seriously about marrying. But like many an ambitious scientist, he was torn between determination to make a mark and desire to have a family. Would supporting a wife and children mean abandoning his scientific career? 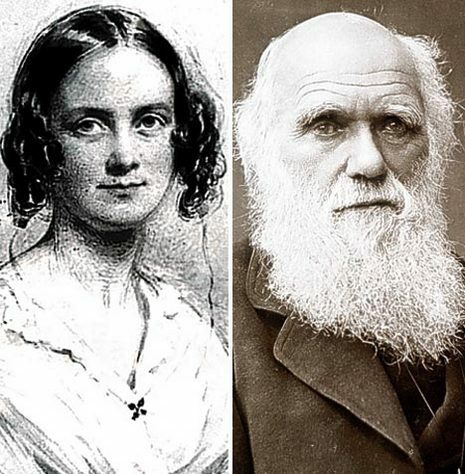 A methodical man, Darwin drew up a list of the pros and cons of marriage—and what he called the "nice wife on a sofa" won out. He soon proposed to a woman he had known since childhood, first cousin Emma Wedgwood. Both parties—and both families—agreed it would be the perfect match. The prediction turned out to be true. Bonds of real affection linked Emma and Charles throughout their long lives, and they would establish a warm, lively and loving family. Yet two troubling issues surfaced in those early years. 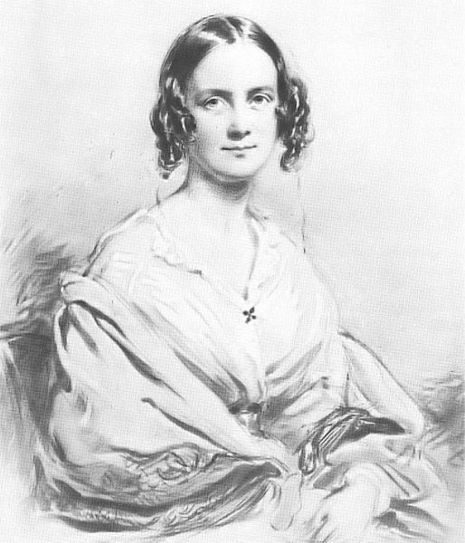 Darwin's growing skepticism about religion caused Emma great pain, which in turn caused her husband deep sadness. And Darwin began to suffer increasingly severe and mysterious bouts of illness that would plague his entire working life.